To conserve the indigenous breed of Gir cow and do the scientific breeding of it, is the remarkable work done by this cattle breeding farm. The farm provides genuine pure cow milk and milk products to all 550students and 400 staff members families at Lokbharti campus. It is a live laboratory for students. 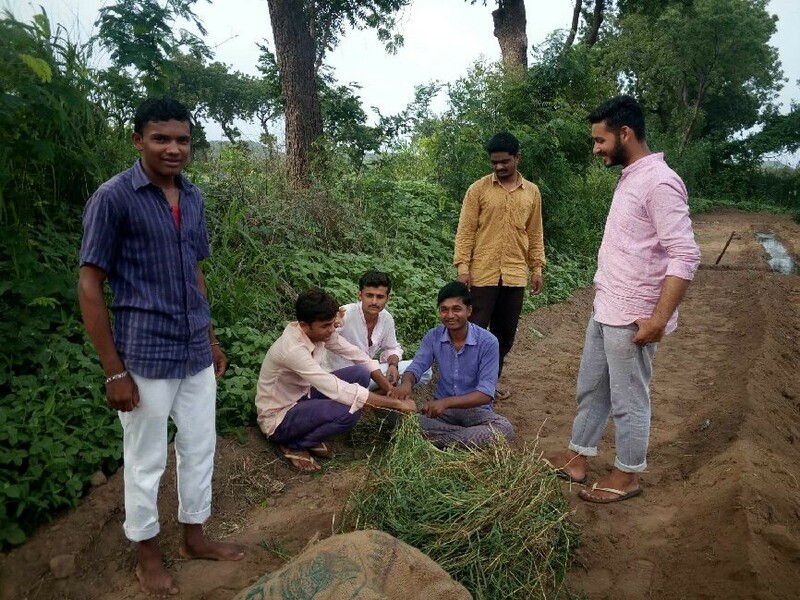 A scientifically tainted and dedicated cadre of students from Lokbharti are working successfully in Gujarat as well as neighbouring states with breed improvement dairy development and animal husbandry related projects and programmes in rural areas. 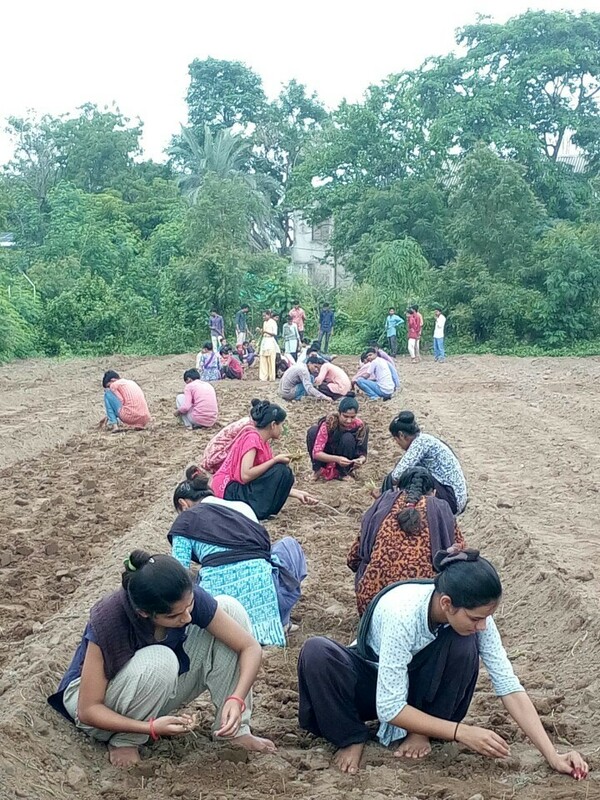 These are many students (Boys - Girls) are involved in daily routine work of the farm and earn while they learn. Education, research and extension-all three domains are integral part of Goshala. It is the live laboratory, with nearly 40 cows and 70 other cattle. The cross-breeding efforts have been carried out here for improving and conserving the cow-breed, sustaining the pure gir breed. Artificial insemination for the best breed is given to nearly 5,000 cows of nearby villages, thereby increasing milk production in this area. The average milk production here is approximately 80,000 liters per annum. For increasing the milk production, notable efforts have been made here for conserving the pure Gir breed and for cross-breeding, which resulted in success as follows…: The Gir breed-cow named Sevika stood first in milk-competition of Gujarat in 1968 giving 21.4 kg. milk. The same cow stood third in milk-competition of India in 1971 giving 21.3 kg. milk. The jersey breed-cow named Mena-79 stood first in milk-competition of Gujarat in 1986 giving 36.7 kg. milk. The h.f. breed-cow named Mena-87 stood third in milk-competition of Gujarat in 2001 giving 33.6 kg. milk. (Generally a common cow produces only 5 to 6 kg. milk daily). Neem and Subabul trees are grown and fed to the cows as a natural remedy for de-worming. Highly nutritive and high yield grass-varieties are grown for fodder. The same seeds are also supplied to the surrounding villages for the farmer‟s benefit. Apart from it, the demonstration and teaching of urea treatment, silo pit for preservation of green fodder, molasses, de-horning, etc. are provided to the students, farmers and animal breeders. The hand-milking and making of various kinds of milk-product like candy, ice cream, flavored milk, Peda, Ghee, Shreekhand, butter milk etc. 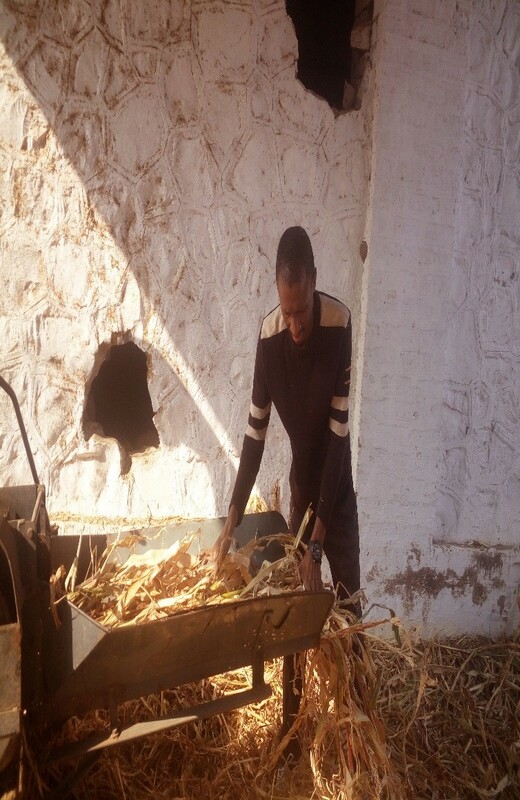 are practical works for the special subject students of animal husbandry. As a part of practical education and demonstration, milking-machine, fat-machine, S.N.F. machine etc. are utilized. Many times the people from far away-out side, prefer the area also surrounding Lokbharti, to purchase the best Gir breed cows, bulls and heifers. This is the natural outcome of the efforts carried out by Lokbharti Goshala for the conservation and improvement of the Gir breed-cow. The animal diagnosis and treatment camp, once in a year, is arranged for practical knowledge and live demonstration to the students. Animal breeders belonging to nearly fifteen surrounding villages are benefited by getting treatment to their animals. The demonstration units such as wormy compost, hybrid Napier fodder, organic manure, bio-gas plant, water reservoir are built in this department. The minor research projects are carried out with the help of UGC and MHRD for the practical teaching and learning of the students. 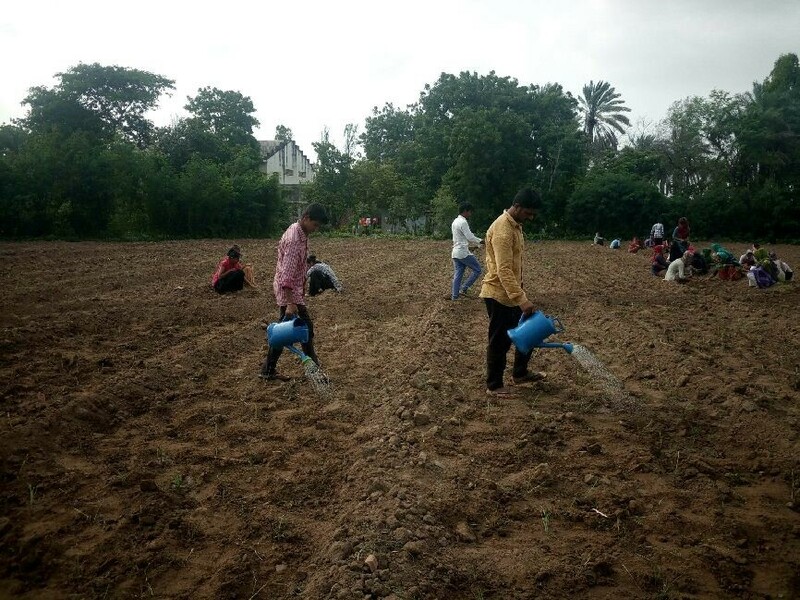 During the summer, free distribution of butter milk is arranged at the three centers in Sanosara village with the help of Saurashtra Rachanatmak Seva Samiti, Rajkot.